Bergamot Grapefruit, Spearmint, Patchouli. The perfect gift!! 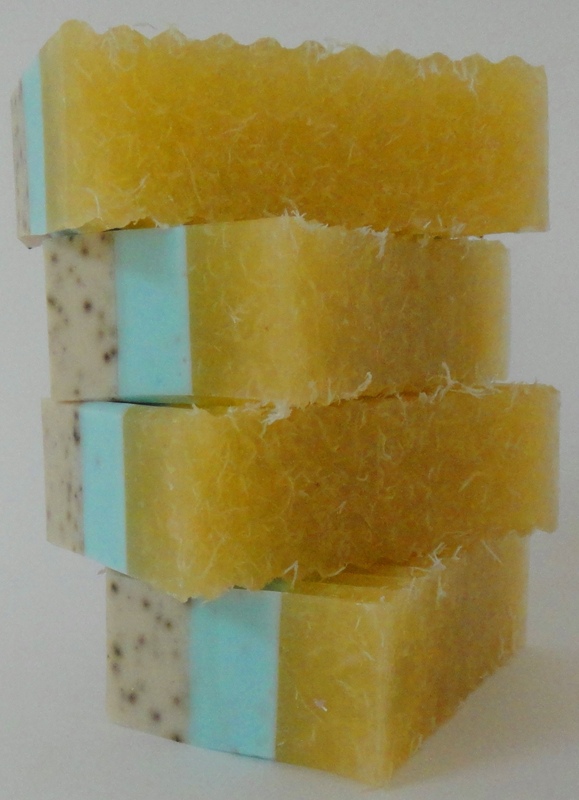 I carefully created each layer to provide a soap with multiple benefits. You will absolutely love this soap. I’m not a gardener but I use this soap in my kitchen – guarantee you’ll be ordering more. It exfoliates and moisturizes at the same time while leaving a wonderful scent on your skin. I call it the gardeners soap for its exfoliating properties but it’s also a wonderful shower bar. It has a beautiful clean fresh scent. Like fields of grapefruit, bergamot & spearmint. A captivating bar of soap. Each bar weighs approx. 4oz. and each bar is one inch thick. This entry was posted in natural handmade soaps, vegan soaps and tagged bergamot, custom made soaps, essential oils, grapefruit, handmade natural soaps, natural handmade soaps, patchouli, vegan, vegan soap.